Intel has revealed details about the mysterious Skull Canyon NUC; which originally promised top of the line performance in a compact form factor. What the company forgot to mention is that they would also be ditching the boring box of a chassis for something a little more badass. 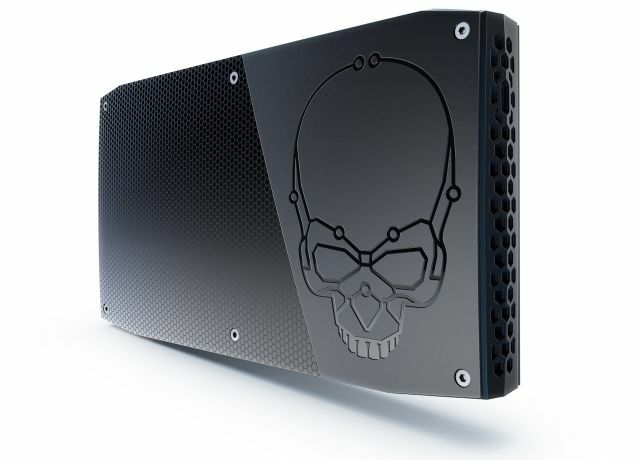 Powering the Skull Canyon NUC is a sixth generation Intel Core i7-6770HQ processor, which is probably good enough for whatever Intel believes we’re planning to do with the computer. This is paired with up to 32GB DDR4 RAM and Iris Pro 580 graphics. It won’t be running triple-A games, but it should be more than good enough for everything else. 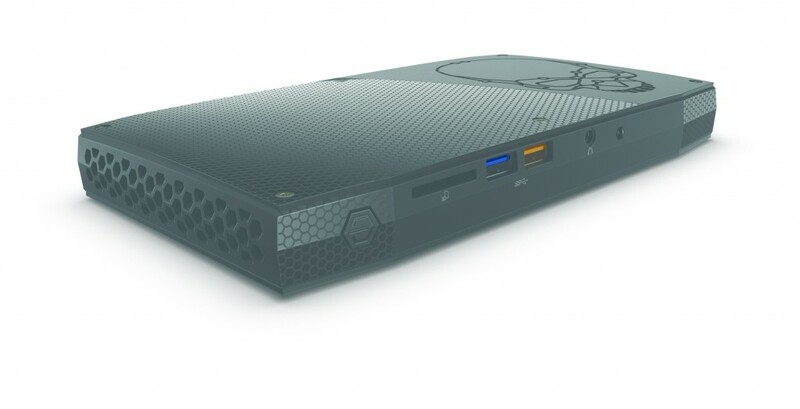 Those who want to play games will be able to take advantage of Thunderbolt 3 technology that makes the Skull Canyon NUC compatible with external GPU enclosures. Intel’s fact sheet specifically mentions the Razer Core, although it should work with just about any of these devices that connect through Thunderbolt 3. Rounding out the specifications are support for dual M.2 slots, full sized HDMI 2.0 port, mini-DisplayPort, four USB 3.0 ports, an SD card slot, Intel Dual Band Wireless-AC 8260 wifi, and Intel Gigabit LAN. There is also a consumer grade infrared sensor installed. 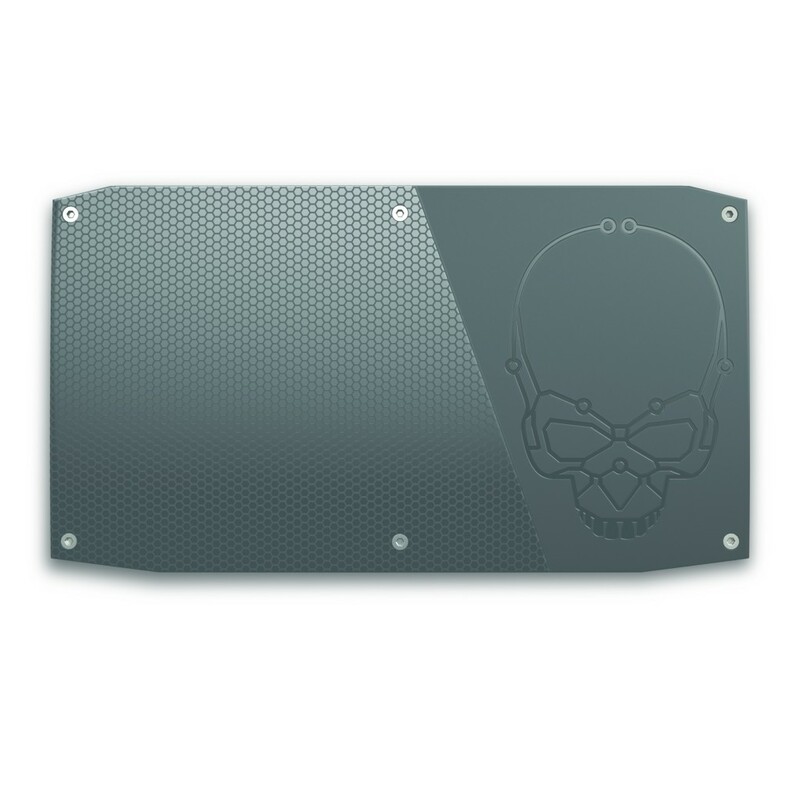 Intel will also be shipping the Skull Canyon NUC with two different lids. One is a plain matte black design, while the other features a skull logo. As is the case with the other NUCs, there is also support for third party lids. The Intel NUC6i7KYK kit has a suggested retail price of $650 (about RM2655). This does not include things like RAM, internal storage, or operating system; as is the case with all NUCs. Intel estimates that a typical build for the Skull Canyon NUC with 16GB RAM, 256GB SSD, and Windows 10 stands at $999 (about RM4000). It will be sold online through Newegg with pre-orders beginning in April 2016. Intel expect to begin shipping the device by the following month.